How many times have your data got scattered between several mobile phones and computers while you needed it to be synced and updated on all of your devices? SyncMate solves this issue and turns your Mac into a sync center, making it possible to keep data organized and up-to-date on all devices you own. SyncMate will sync contacts, calendars, music, images, folders, bookmarks, notes and other data between your Mac and a wide range of devices: Android, Windows Mobile and Nokia S40 phones and tablets, other Mac and Windows computers, iOS devices (iPhones, iPods, iPads), Google and Dropbox accounts, any mounted storage devices and even your Sony PSP! Moreover, SyncMate offers you Online storage account for backing up your personal data. This powerful sync tool will become your reliable assistant in solving numerous tasks: updating data between all Macs you have, migrating data from your old PC to your new Mac computer, keeping your Address Book in Mac in sync with your mobile and lots more. 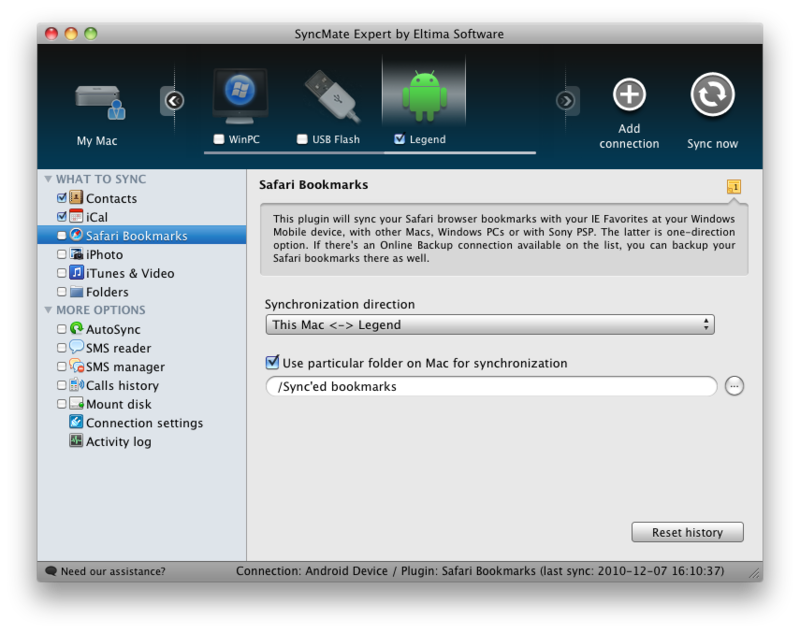 BTW, SyncMate is also offered in Free edition which syncs iCal and Address Book entries between your Mac and all mentioned above devices for free – so why not give it a try?